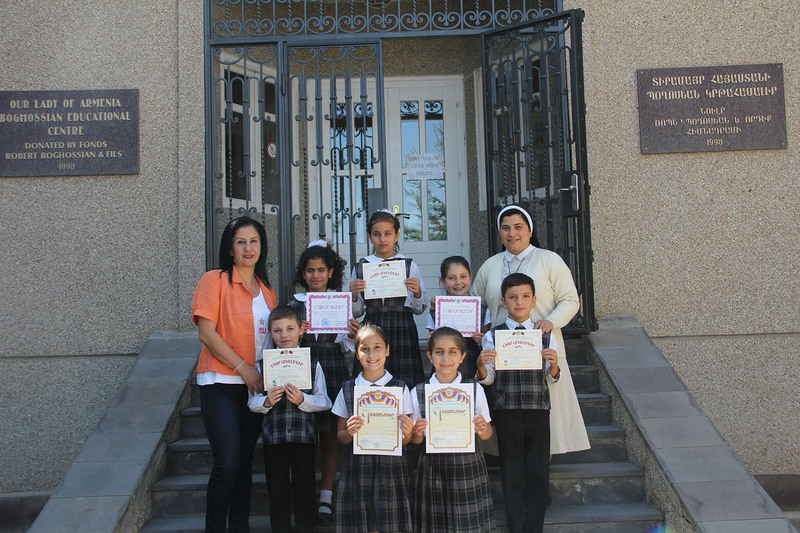 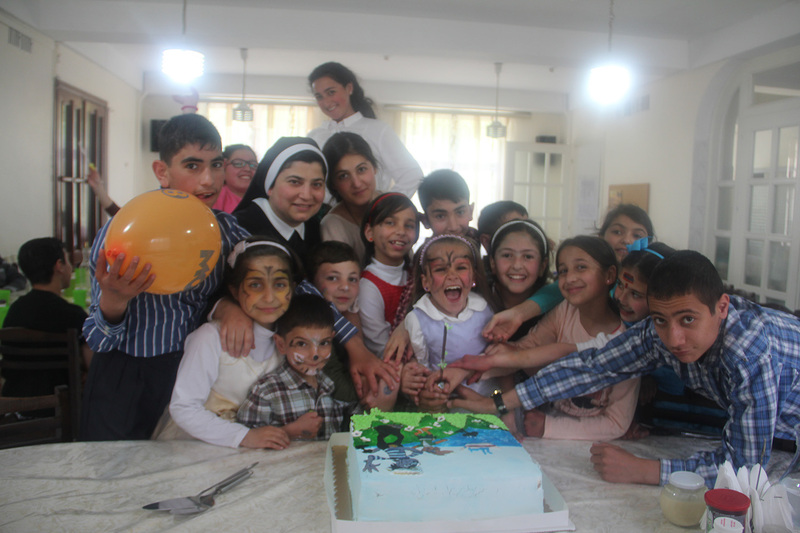 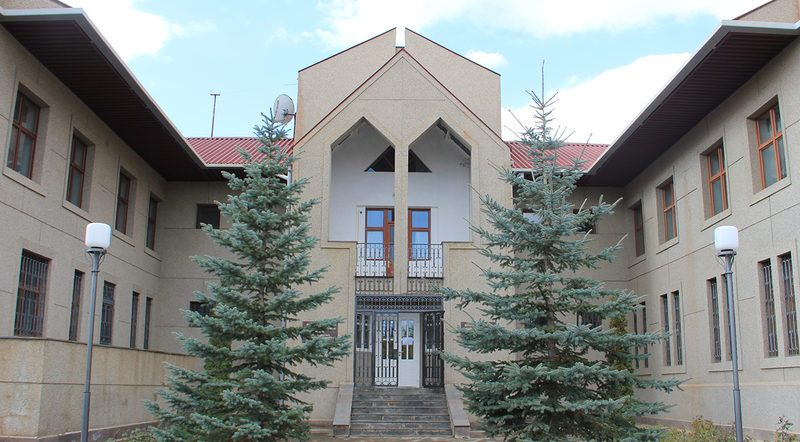 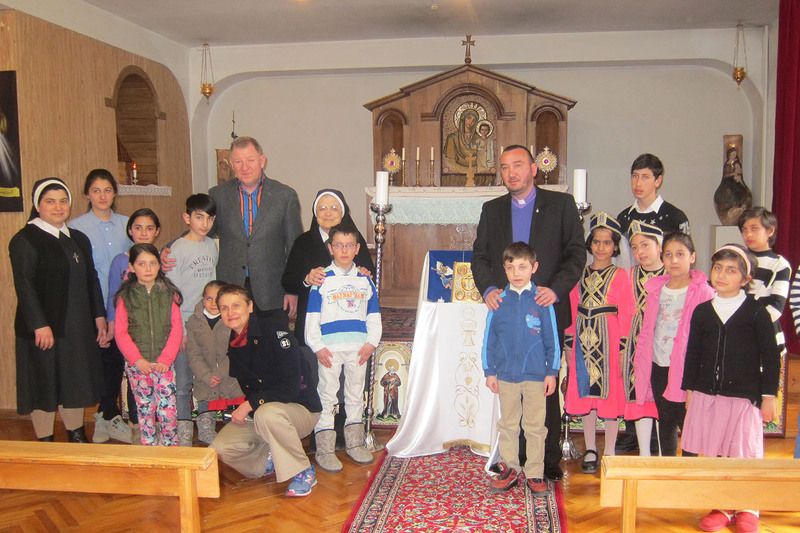 The Our Lady of Armenia Boghossian Educational Center in Gyumri is a social, cultural and educational institution established for the purpose of securing the overall development of orphaned, abandoned and needy children. 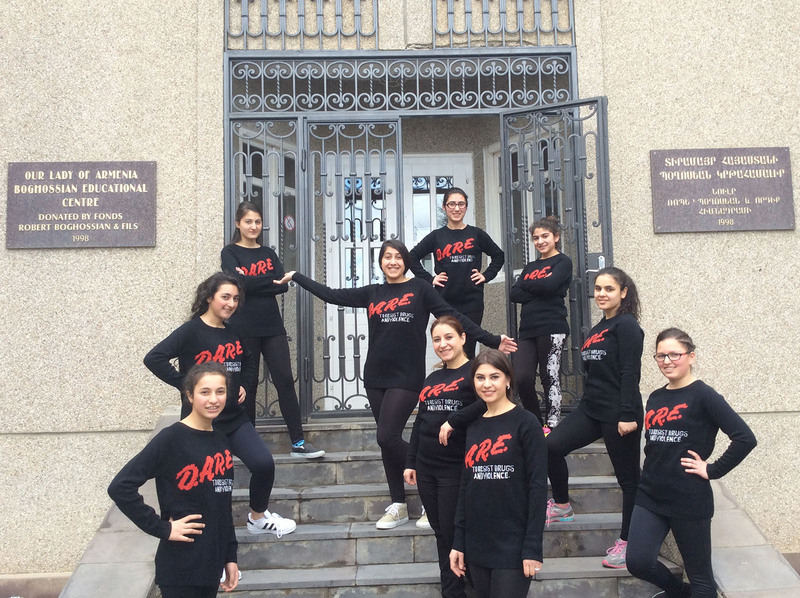 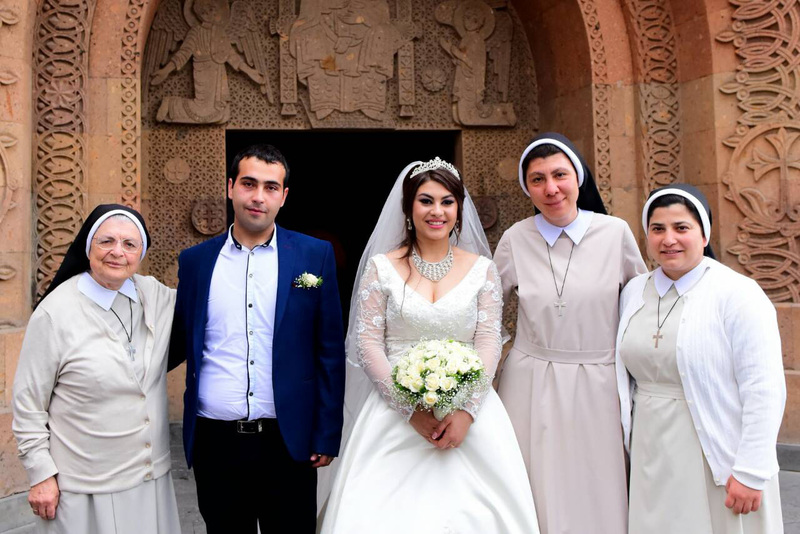 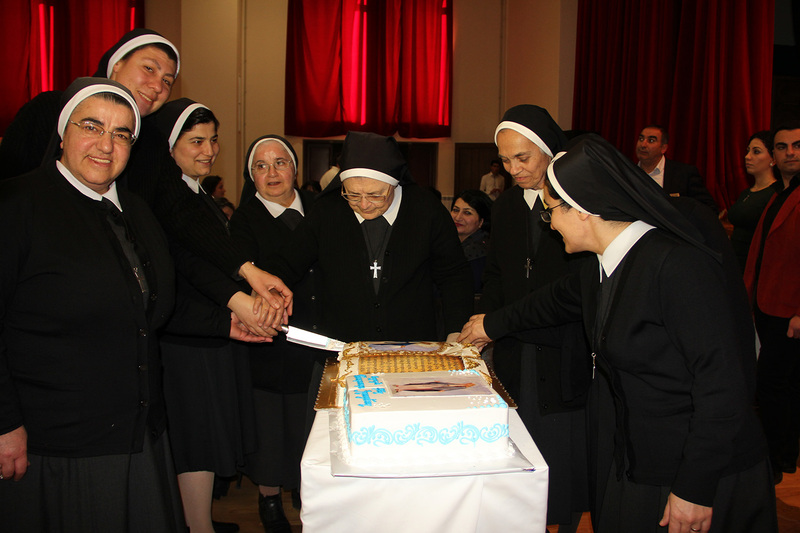 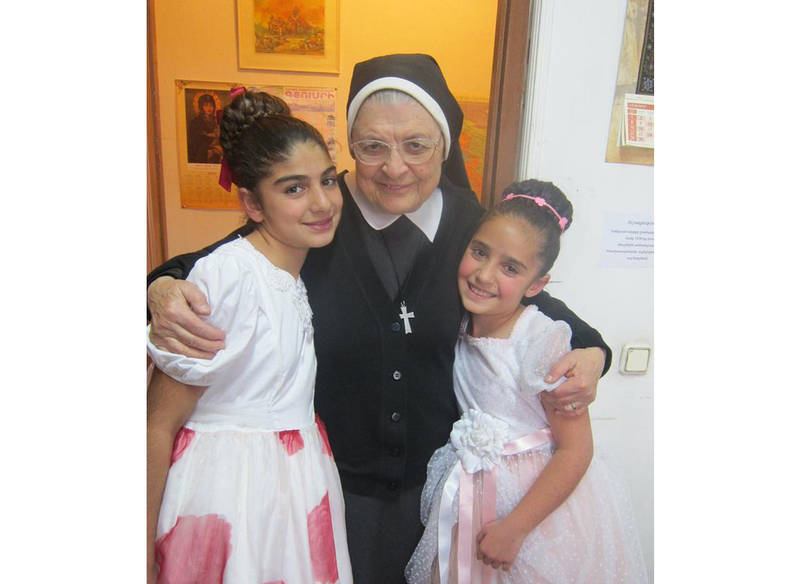 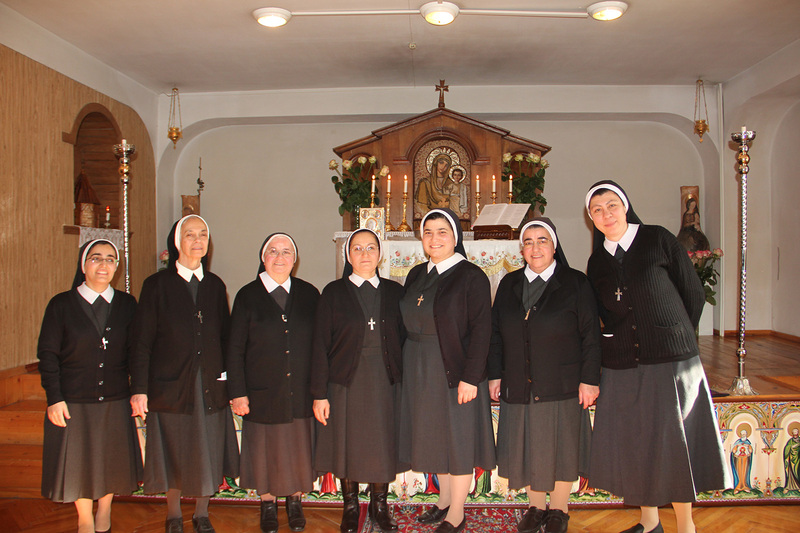 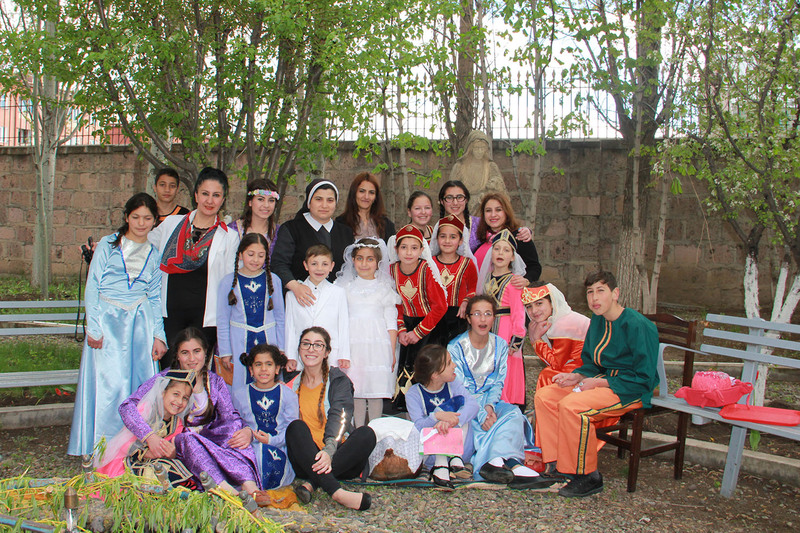 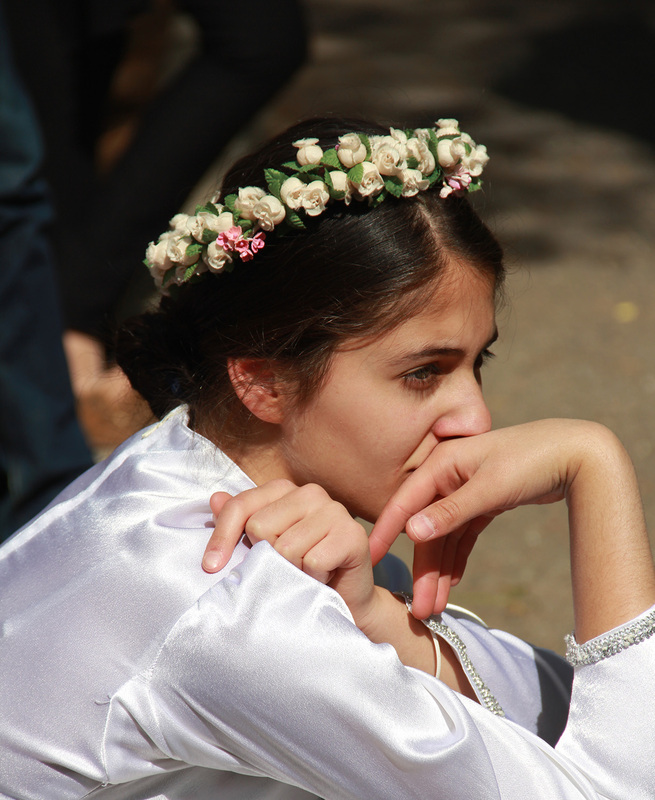 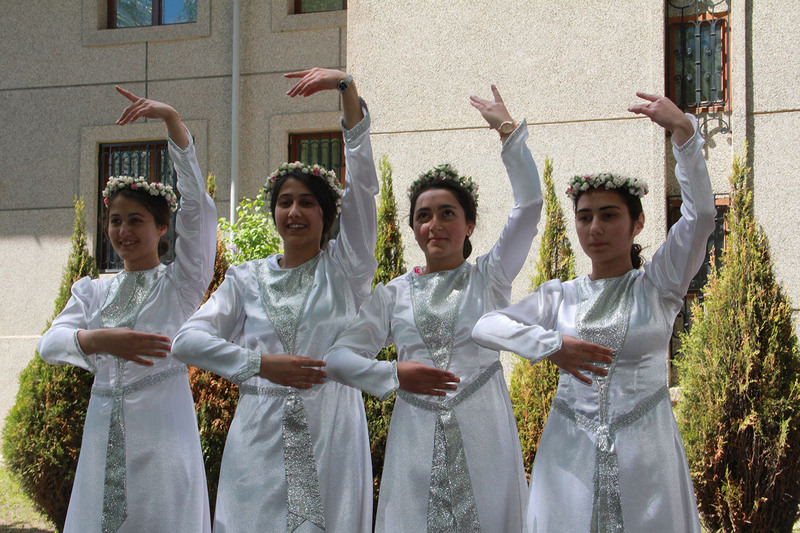 The Center is governed by the Armenian Sisters of the Immaculate Conception, a religious order of nuns established in 1847 in Constantinople for the education of Armenian youth. 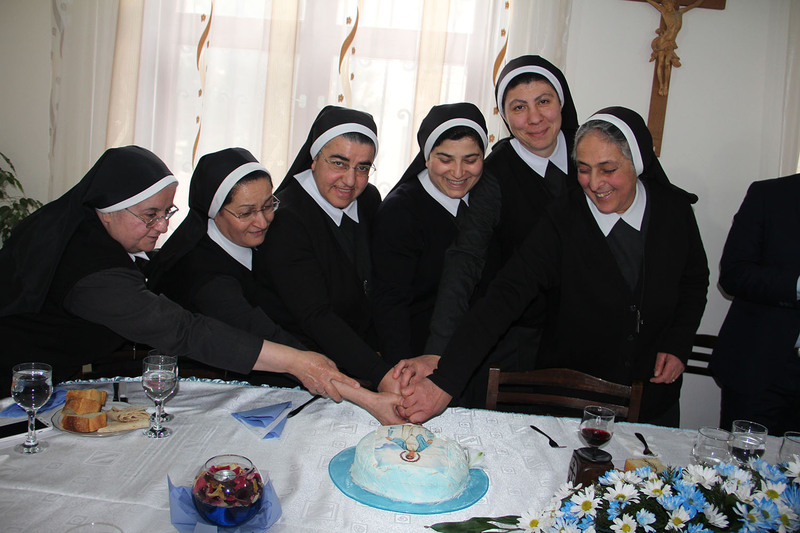 An Advisory Board helps the Sisters in charting the overall operation of the Center and assisting with various projects. 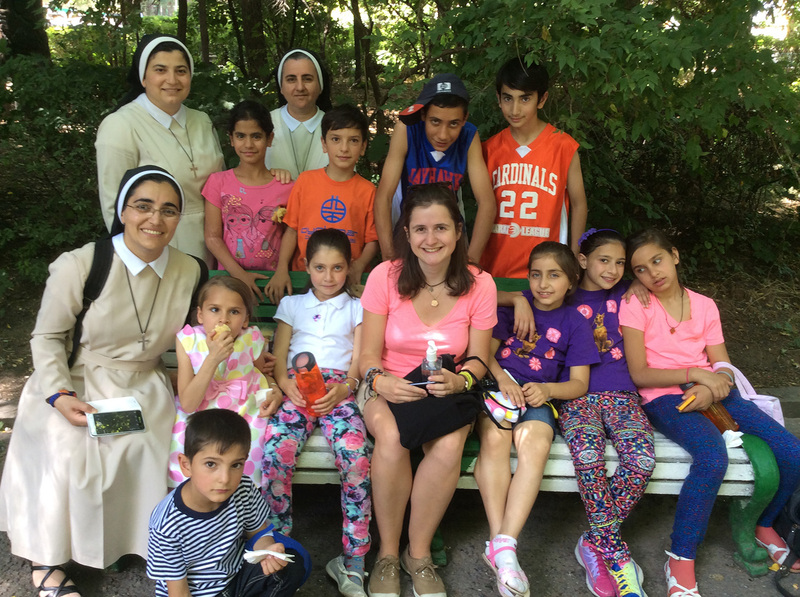 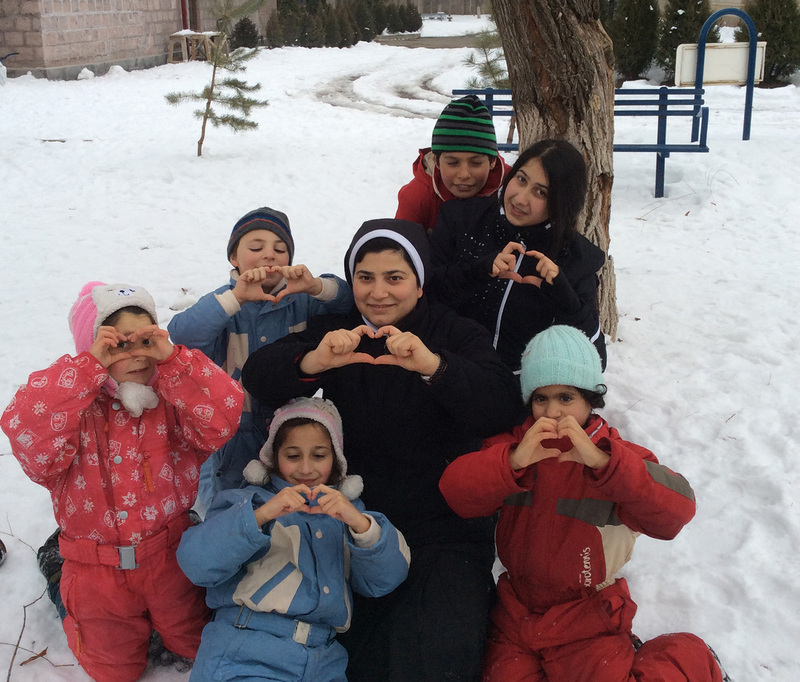 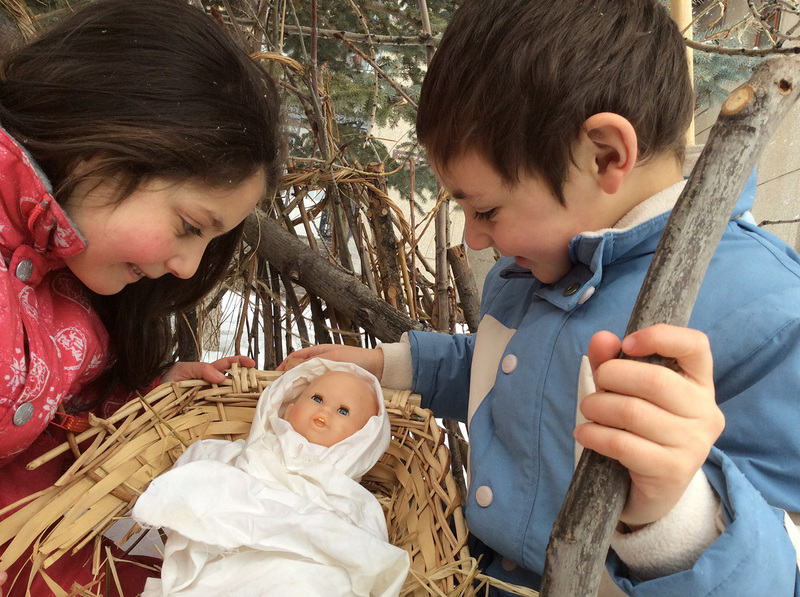 The Our Lady of Armenia Center admits boarding and daytime boys and girls, ages 5-20 and over. 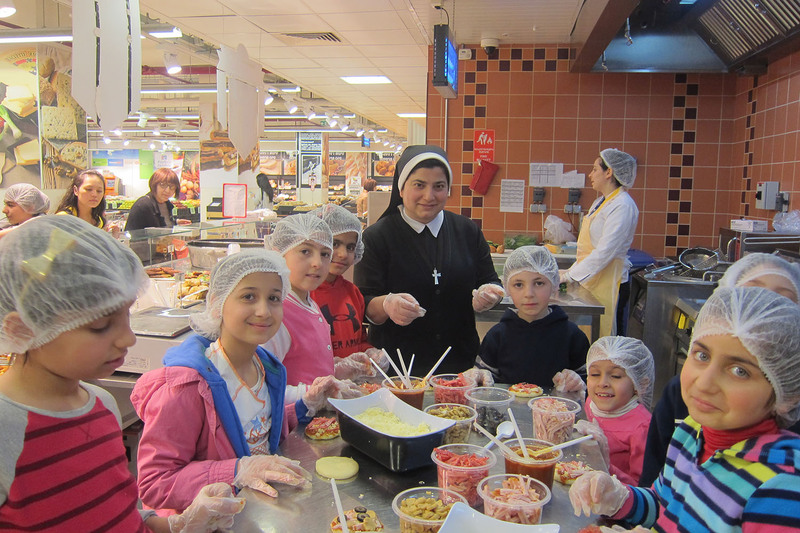 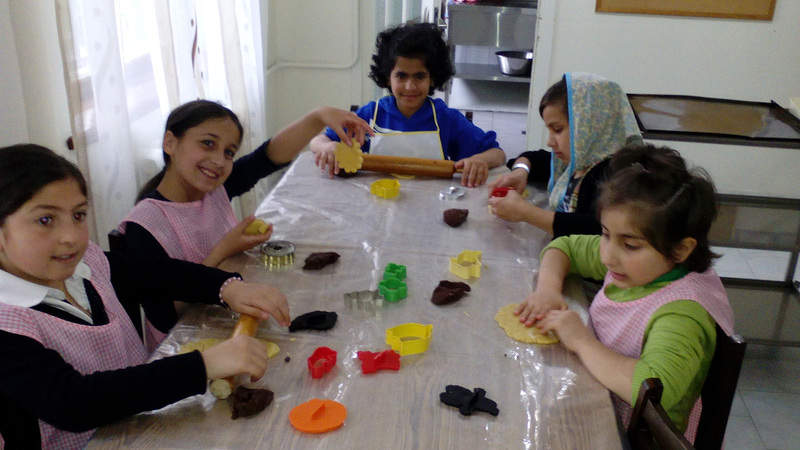 The children’s daily program consists of three nutritious meals (breakfast, dinner, supper) supplemented with snacks. 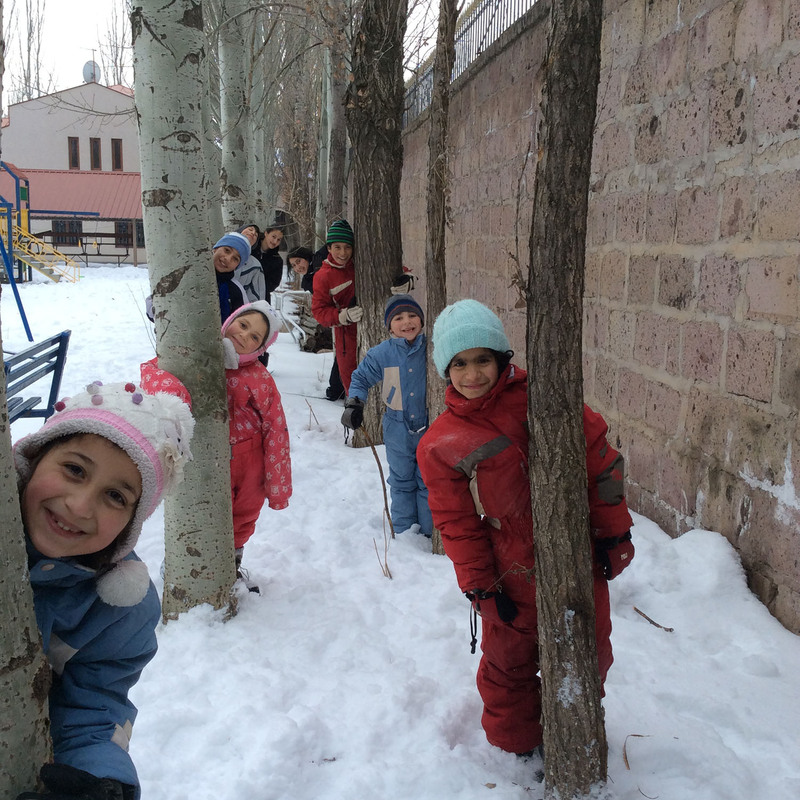 Excursions are often organized to broaden the learning experiences of the children. 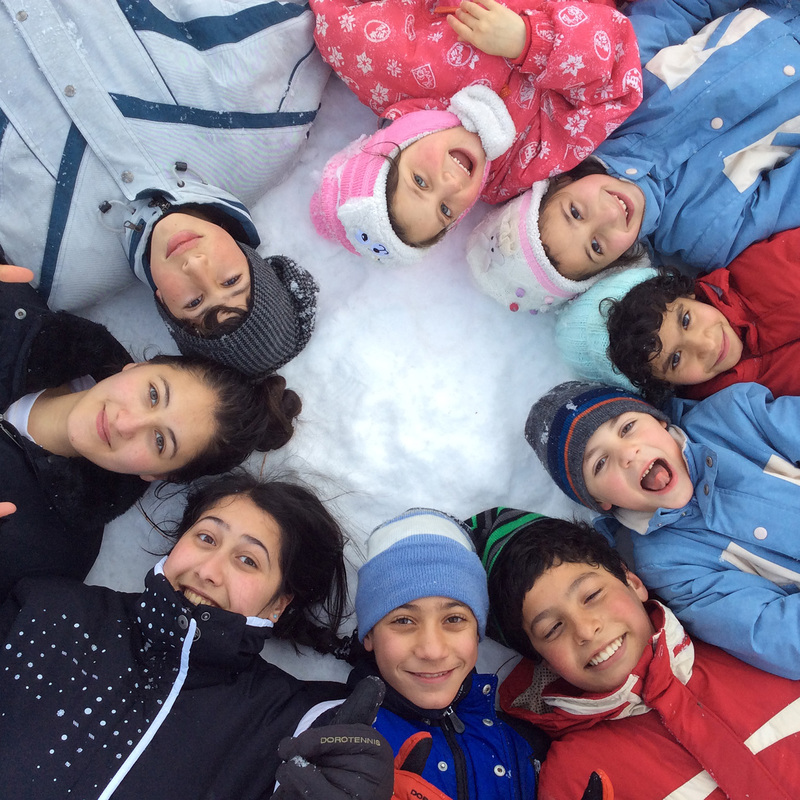 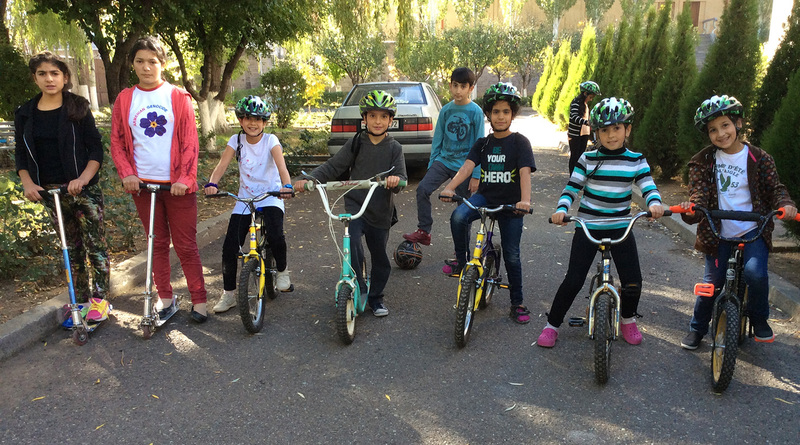 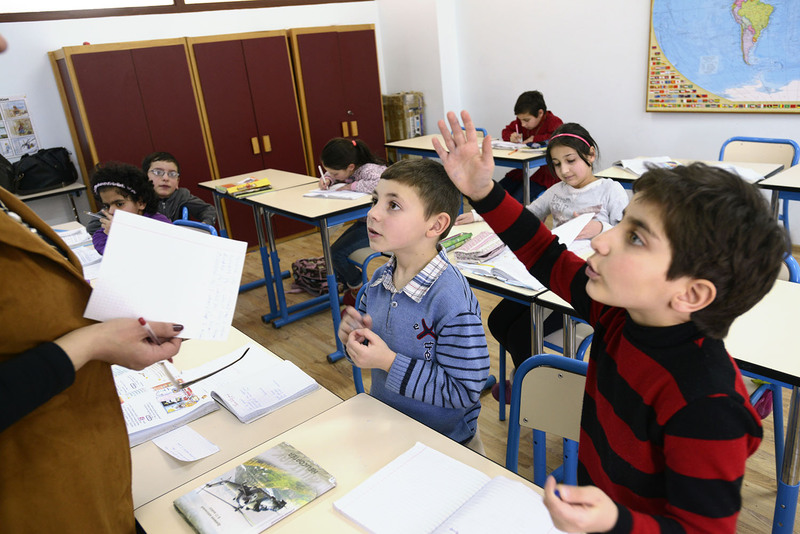 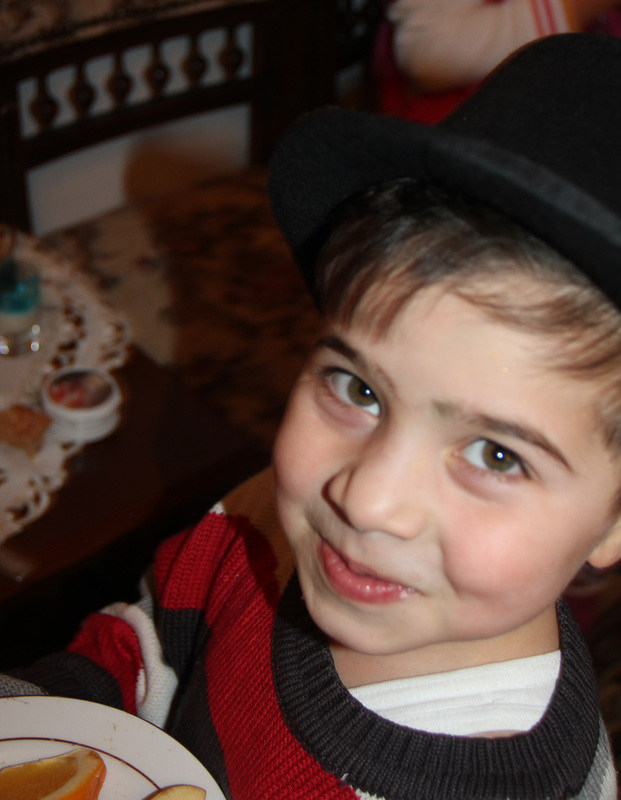 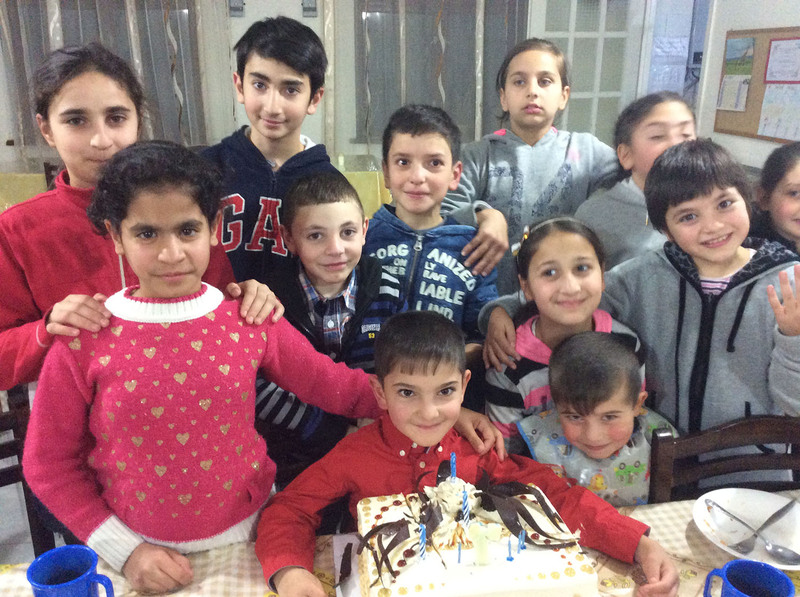 Children attend Government schools, but special teachers of Armenian, Russian and English languages and Mathematics, work with them at the Center after school. 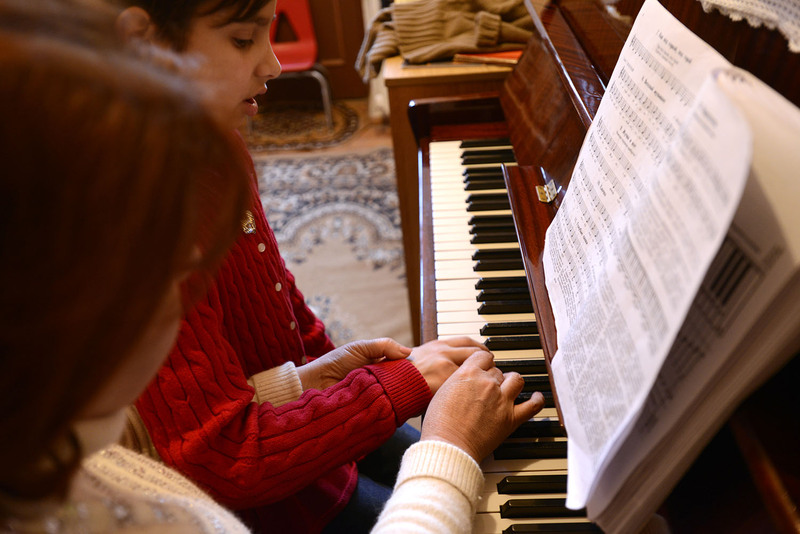 The Center also provides classes in religion, music, singing, computer science, sewing, embroidery, robotics, dancing and sports. 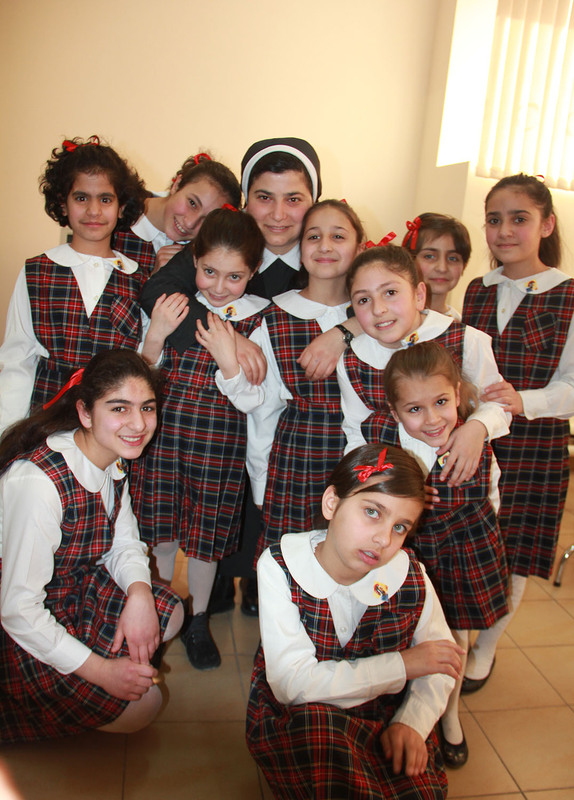 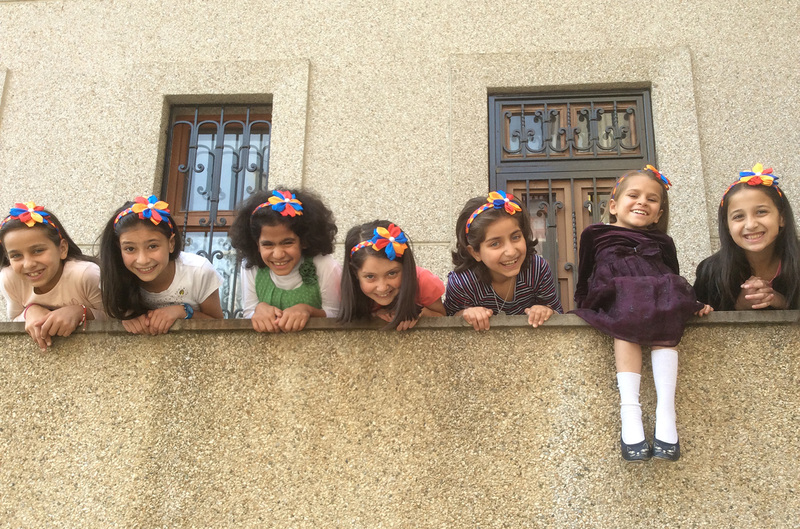 Children are provided with school uniforms and other clothing which the Sisters receive from individuals and humanitarian organizations. 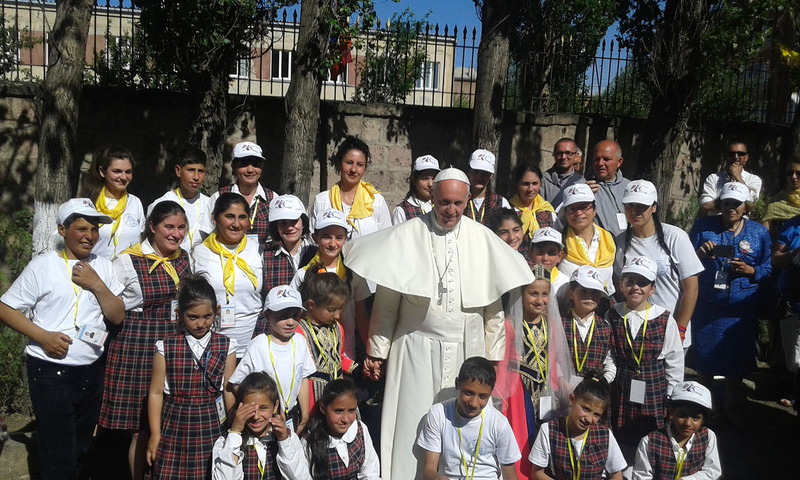 Recruitment of the children is done in different ways. 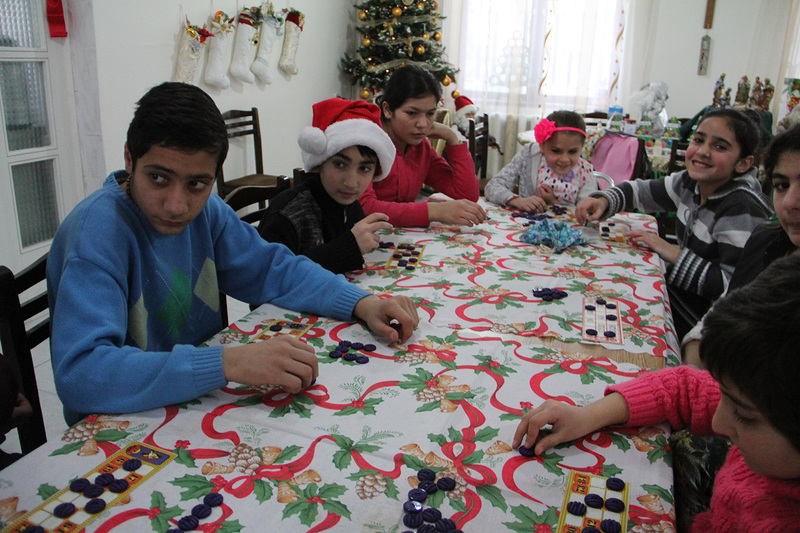 Priority is given to abandoned children, orphans of both parents, children whose fathers have abandoned them and the mother is not capable of providing for the needs of the child. 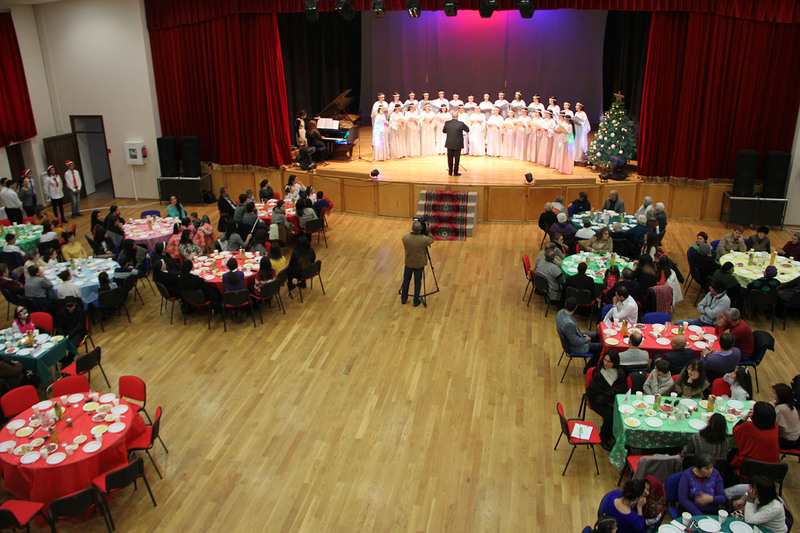 Several events and performances are organized at the Center. 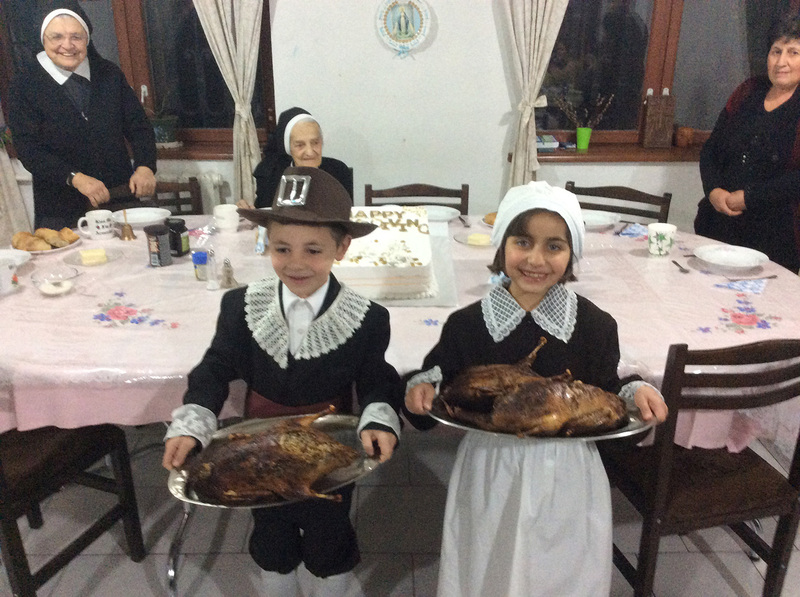 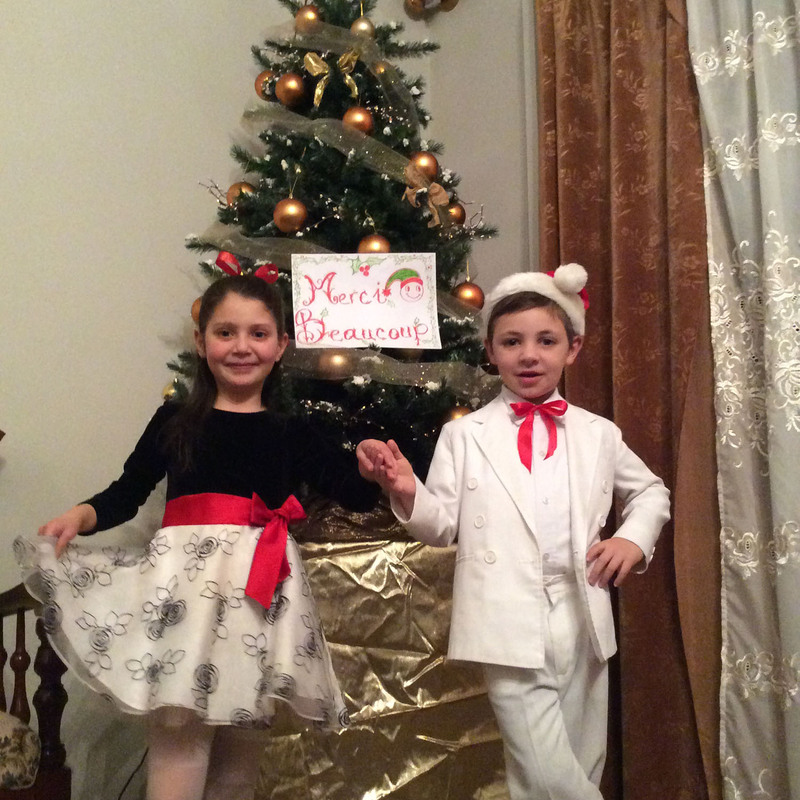 The children celebrate the Vardanantz, Easter, Feasts of the Ascension, Immaculate Conception, Christmas, with much joy, traditional dances and singing. 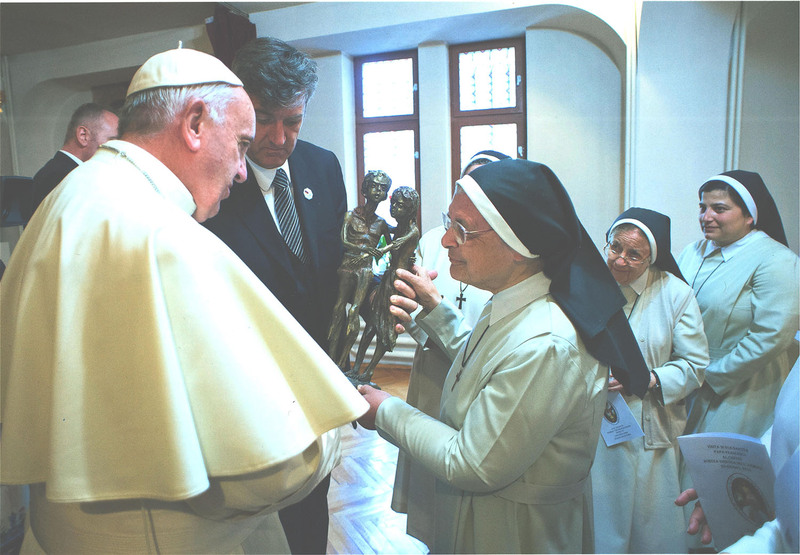 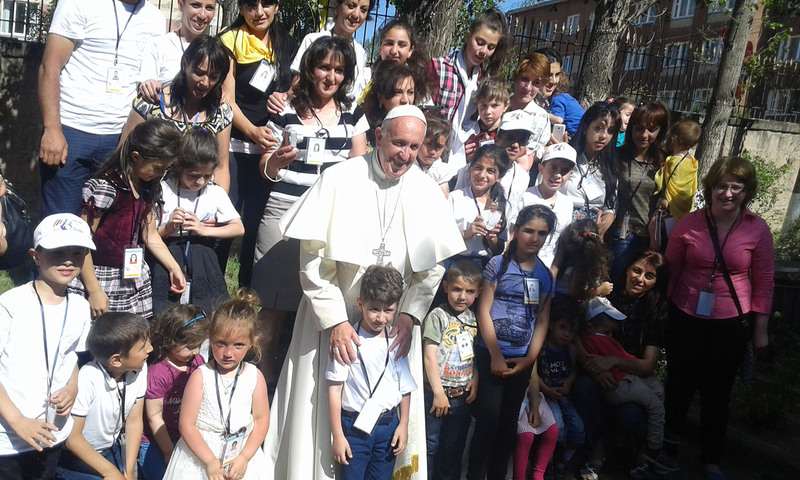 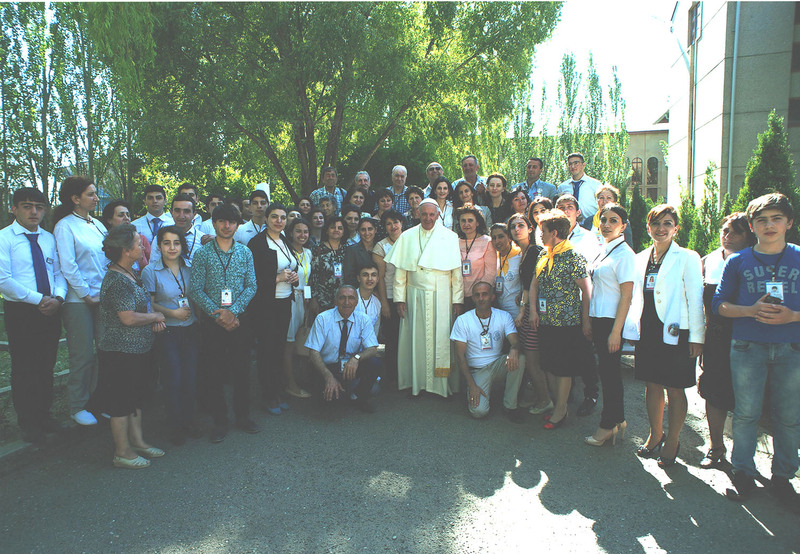 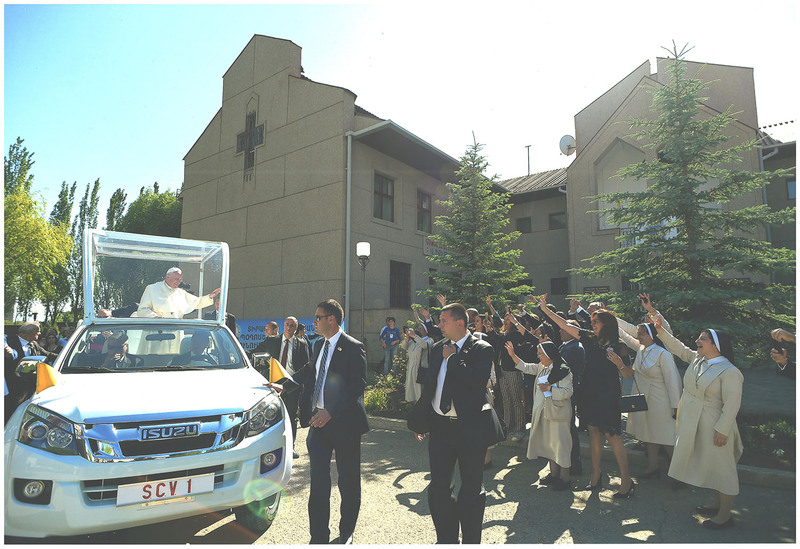 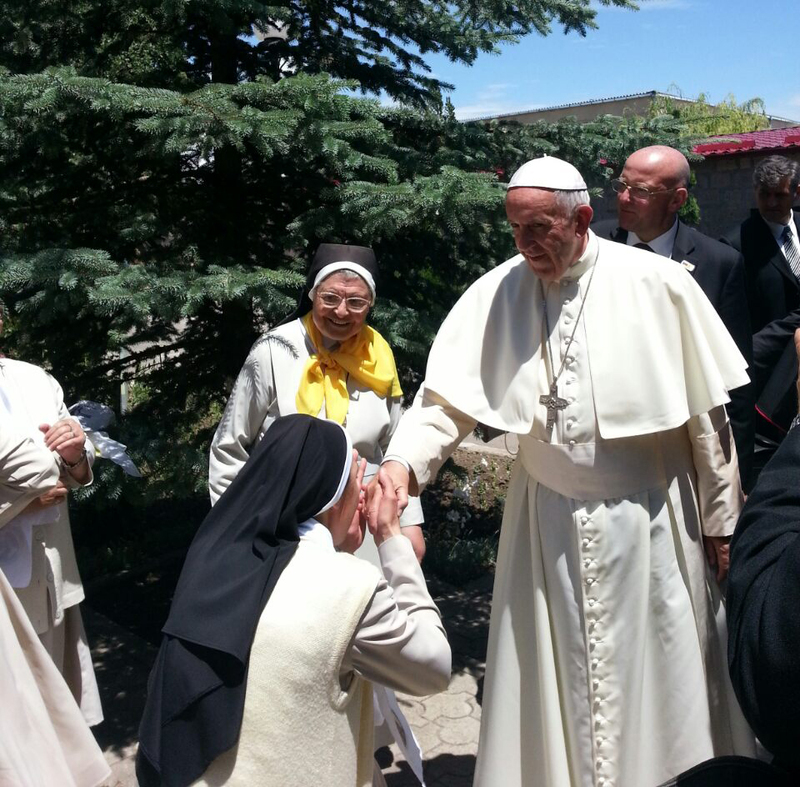 In 2016, the Our Lady of Armenia family had the exceptional privilege to welcome His holiness Pope Frances both at the airports of Yerevan and Gyumri and at the Our Lady of Armenia Center during the Pope’s visit to Armenia. 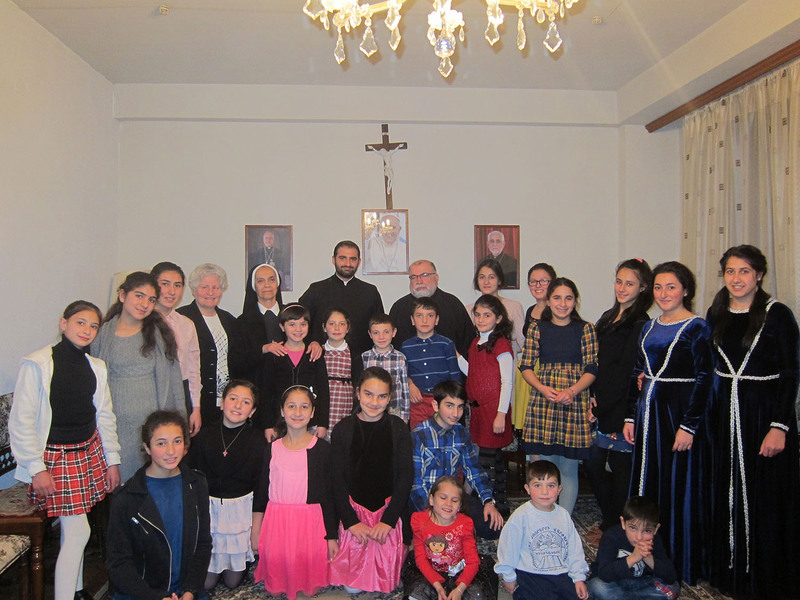 His Holiness greeted personally the Sisters, former members of the Center with their children, the Personnel, Choir members, the Students and the Elderly of the Center. 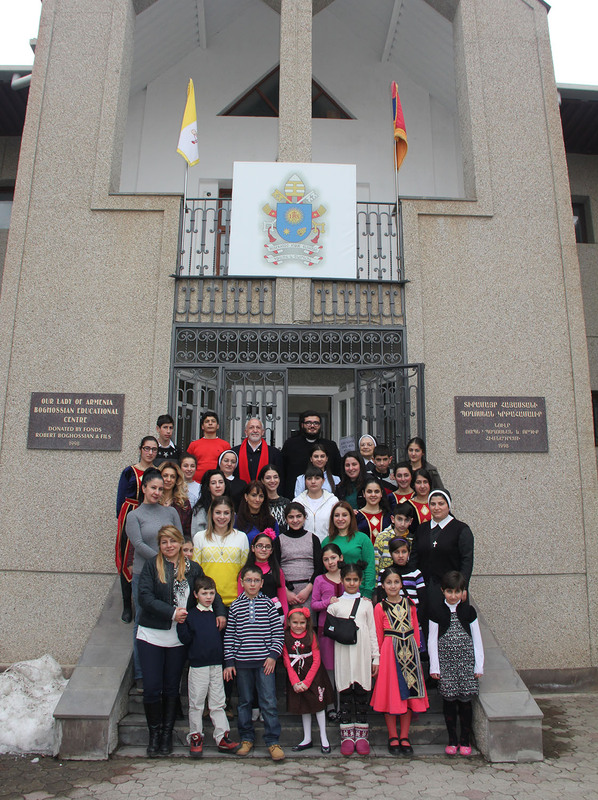 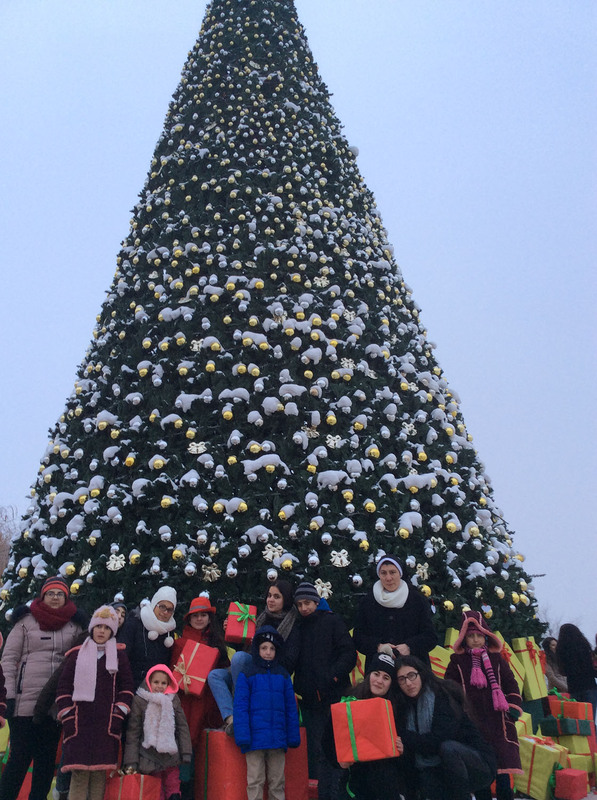 Also, the children greeted many American, German, Italian and French tourists visiting our Homeland.